A 2 in 1 tear free shampoo and wash, lightly scented with lavender. It will delicately clean baby’s hair and skin during bath time. This formula includes some wonderful ingredients such as Organic Marigold (Calendula) which helps calm irritations, organic chamomile to assist with dry skin and beta-glucan to add hydration. This shampoo and wash also does not include certain ingredients like synthetic fragrances, phthalates, sodium lauryl/laureth sulfate, sodium methyl sulfate, petrolatum, waxes, mineral oil, colours and parabens. It does however include 70% organic content, it’s hypo-allergenic, 100% vegetarian and not tested on animals. Directions: Wet baby’s hair and body with warm water. Gently apply a moderate amount of wash to baby’s hair and body. Rinse thoroughly. Caution: For external use only. Avoid contact with eyes. Keep out of reach of children. Children use under adult supervision. 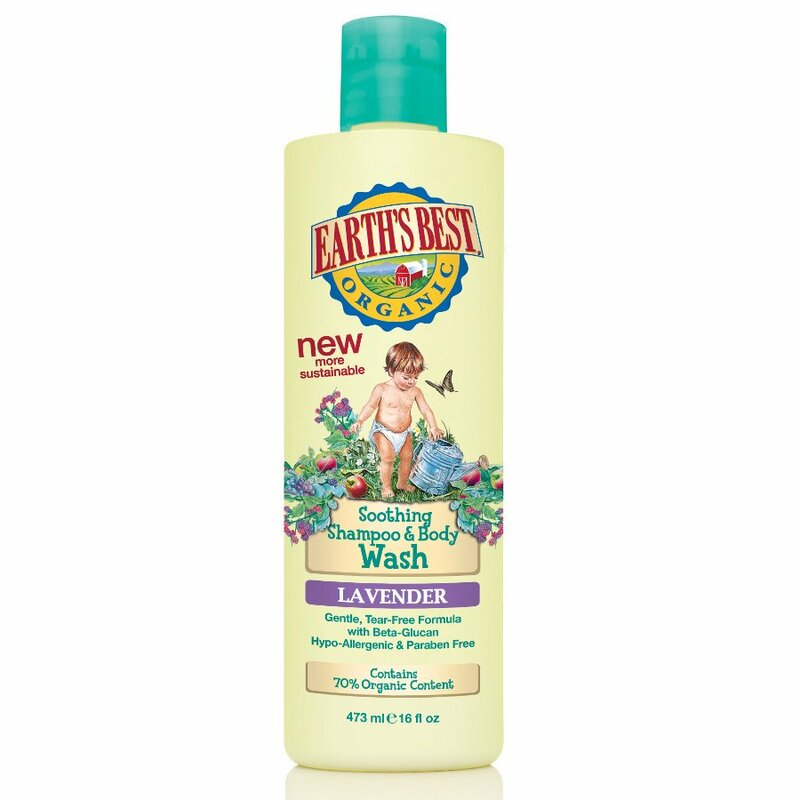 There are currently no questions to display about Earth's Best Soothing Lavender Shampoo & Body Wash - 250ml.